and there are never any guarantees. There may be a shorter wait for a potential show puppy should we consider we have one suitable - you will need to contact me direct in addition to putting your details on the Wait List if you are seeking a potential show pup. 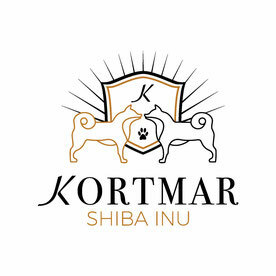 Please complete the application form below to register your interest in a puppy from Kortmar Shiba Inu - if you are seeking a show puppy, please note as such in the "Why you want a puppy from Kortmar" field and drop us an email as well so we can chat further. ALL Pet / Companion pups are sold on the Limited Register to the final owner and are NOT to be on-sold. If you can no longer keep the puppy or adult then unless an alternative home is found by working with us then they are to be returned to us and we will rehome them. Refunds will NOT be provided for pups or dogs that are returned if you can no longer keep them for whatever reason but WE WILL undertake to secure a suitable alternative home. This is NOT NEGOTIABLE - if you are not prepared to abide by this arrangement then please do not register your interest in a puppy/dog. Noting that there could be a considerable time from registering interest until a puppy might be available, please note that not everyone that submits an application for a puppy will be offered one as we will do our best to find the best possible homes for our babies, not simply provide a puppy to all that ask. Please note that there is a 255 character limit to the general text fields - I have added additional fields at the bottom of the form you can use if required. Why you would like a Shiba from Kortmar Shiba Inu? We are looking for information about why us (rather than another breeder)? What is your family composition? Do you have children or are you planning children? Do you have other pets? If so, what are they? Are they desexed? Shiba's have very individual personalities and knowing more about you and your circumstances means we can try our best to get the right personality and fit for your family unit - and the right family for our pups and adults. Do you own your own home or are you renting? If renting, are you allowed (already have permission) to have pets? Do you have a securely fenced yard or are you in an apartment? If an apartment, is there regular daily access to grass areas close by? Does anyone work from home or can they get home at lunchtime if the pup or adult is going to be locked up all day while you are at work? If you have, please say when or approximately when that was. Optional if you need to add extra info - there are several of these fields so you can add additional information - I am still working out how to make the fields support more than 255 characters in each. We want to make the best possible choices for all - so the more we know, the better we can make decisions. Do you have a time frame to get a Shiba in mind? Have you previously contacted us? Any additional comments / feedback? Remember - you can go back in and update your profile at any time so its always up to date.